What is a UT EID? Why do I need one? A UT EID is an electronic identification for individuals. 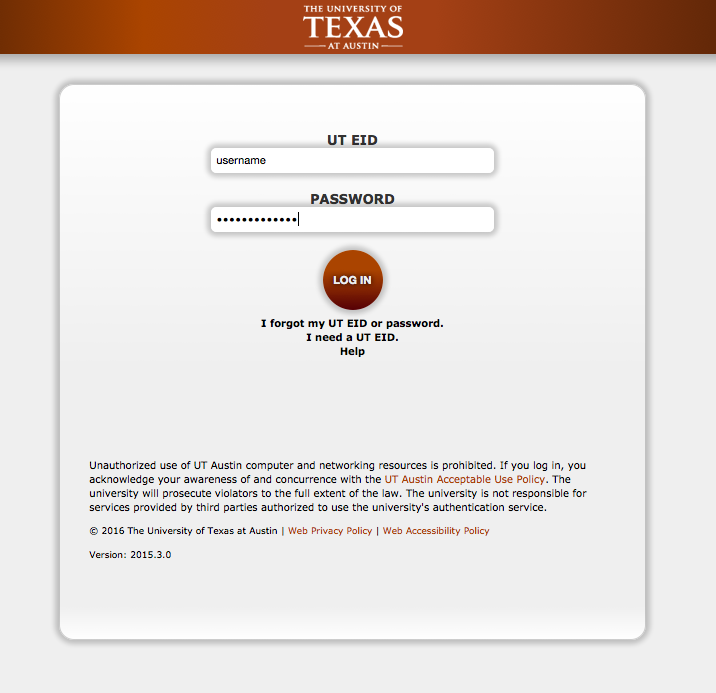 Everyone who interacts with The University of Texas needs a UT EID and secure password. Obtain your UT EID to join the Osher Institute prospective member list and then use it to log in once you join a program! Use the Self-Service Tools link below to obtain a UT EID, find your UT EID, or reset your password. If you need more assistance go to the UT EID Help Page or call the IT Help Desk while you are at your computer. How do I get WiFi or internet access when I’m at the Thompson Conference Center? The Thompson Conference Center has access to Eduroam, a WiFi service that enables enables faculty, staff, students, and affiliates to obtain Internet connectivity at colleges and universities worldwide. Once logged in you can update your profile and find information about seminars and lectures. To view and edit your profile click on the “profile” button at the top right of the member page. To edit your profile, click on “Edit My Profile”, make changes and click "Save." You can also view "My Membership" or "My Volunteer Preferences." What can I do in the UT OLLI Workspace? The UT OLLI Workspace is a meeting room and computer bank on the lobby level of the Thompson Conference Center. The workspace is connected to the UT OLLI office suites. If you cannot log in at home, please make an appointment with the UT OLLI office to meet a staff member or volunteer who can walk you through the login process and help you become familiar with the member pages. Committee members can get work done in the UT OLLI Workspace including: training with your program webmaster, entering data, and doing research. UT OLLI supported committees may schedule to meet in the UT OLLI Workspace. Call the UT OLLI office at 512-471-3124 to make an appointment to use the UT OLLI Workspace. If you are serving on a volunteer committee or as a committee chair you might have administrative or super administrative access when you log in. Your webmaster grants access and will help you navigate the information at your disposal and assist you with any data entry requirements your committee needs. You can also contact a UT OLLI staff member via email or call the office at 512-471-3124. Support from your Program Webmaster! Your program webmaster is a member volunteer. They work to make your online experience excellent. They are here to train and support the many committees that make up the Osher Lifelong Learning Institute programs great.